When guests come over, one of the rooms they are guaranteed to visit is the bathroom. For your next home remodel, be sure to include the bathroom on your list of must-do’s. Turning a bathroom into a warm, inviting space can help make a home an attractive place. 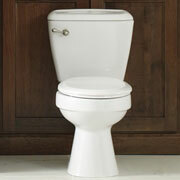 At ProSource® of Valley Forge, we are proud to offer the finest bathroom remodeling products around. Whether you are overhauling multiple bathrooms or simply redoing the master bath, we have what you need to make your project a success.. Our team will help pair you with the products you need at prices you can smile about. A bathroom sink can be so much more than a place to wash hands. 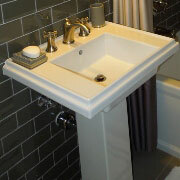 With our stylish selection of bathroom sinks, you can find the perfect color and design to match your wishes. 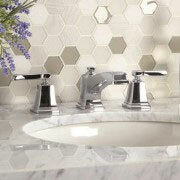 From vintage style to modern and sleek, we carry bathroom sink faucets to match any need. Choose the right handle, spout, and accessories to put the finishing touches on a new bathroom design. Do you want a shower that offers a detachable shower head? Do you want a large shower head that mimics rain? Whatever their need, we can help. Browse our showers and find the perfect match. The right vanity can turn any bathroom into a luxurious oasis. 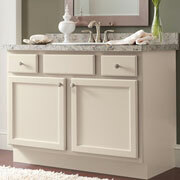 As an added bonus, vanities can help improve storage space in small bathrooms. Find the right vanity at ProSource today. 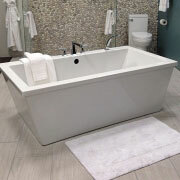 Wash away the days’ woes in a comfortable jacuzzi tub or create a stunning look with an elegant tub. We carry tubs for every taste. Find a toilet that will not only provide great functionality—say goodbye to water wasting toilets of yesteryears—but also a toilet that will add a design element to the room.